Home Elevator or Stair Lift? Getting up and down stairs at home can be a challenge for senior citizens or those with disabilities, but it doesn’t have to be. Many options are available to increase mobility at home. A home elevator is one solution. 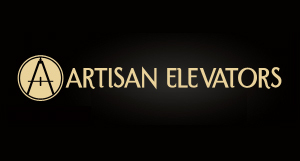 An elevator can transport you or a loved one safely from one level to another in your home. It may require construction of a machine room before being installed. A stair lift can be attached directly to your staircase and installed in a fraction of the time of an elevator. Stair lifts cost much less and only require maintenance once a year, contributing to long-term savings. Stair lifts are powered by batteries that recharge automatically when the lift is not being used. The charger plugs into a standard wall outlet. If the power goes out, the stair lift will still be able to go up and down several times by running on battery power. The batteries generally last two to three years. The rail for a stair lift attaches directly to the stairs, not the wall. It can be attached to hardwood, carpeted, or concrete stairs in a matter of hours. Stair lifts are easy to install on straight staircases. The rail is cut to the length of the staircase, and it can be attached on either side. 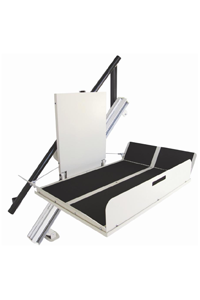 Straight stair lifts can typically be delivered in a few days, and a trained technician can install one in about four hours. A curved stair lift can maneuver around 90- or 180-degree turns, across flat landings, and around banisters and must be custom-built in a factory. Production and installation take longer, and the cost is about three to four times that of a straight stair lift. Installing a stair lift in your home can increase mobility for yourself or a family member in less time and at a fraction of the cost of a home elevator. Since they require less maintenance, a stair lift can provide long-term savings.